I have been wanting to see this since I first saw that it was in production. I loved the first instalment and am a massive fan of Paul Rudd - so when I arrived at the cinema, I was very excited for what I was about to see. Sometimes sequels don't live up to the first instalment, but with this, I think it was comparable or even better than the first. 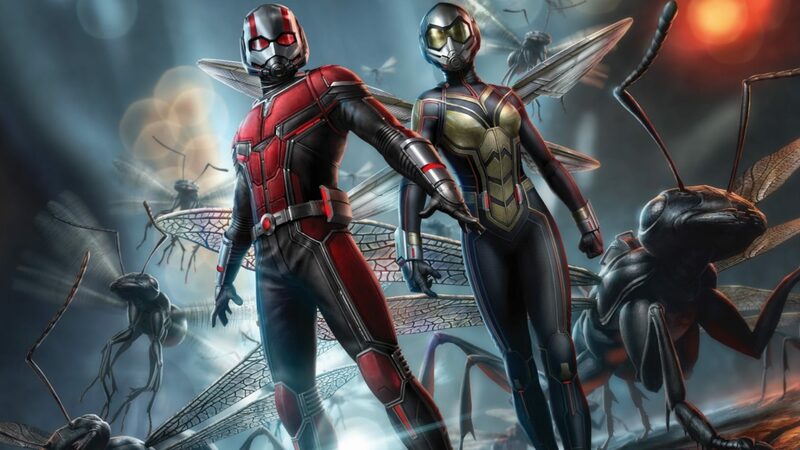 Scott Lang (Paul Rudd) is back, after recently fighting against Captain America and going to the battle without Hope (Evangeline Lily), both Hope and Hank (Michael Douglas) aren't speaking to him and he is put under house arrest for his actions. When Scott has a vision of Hope's mother in the quantum realm, the three of them come together to try and bring her back. A new 'villain' is introduced called Ava (Hannah John-Kamen), who has a condition which makes her phase in and out of reality, so with the help of Dr. Bill Foster (Laurence Fishburne), they try to steal Hank's technology to try and fix her condition before she dies. Another villain who is trying to take the technology for his own greed (called Sonny Burch), also provides some hilarious scenes. Luis (Michael Pena), Dave (T.I) and Kurt (David Dastmalchian) are hilarious as always, and Cassie (Abby Ryder Fortson) is adorable. A lot happens throughout the film - so I don't really want to get too much into it. Just know that the film is epic, comedic and heart-warming. By introducing villains that weren't the stereotypical evil genius or wealthy businessman, Marvel have created a film that goes against the superhero norms. Every moment of this film made me laugh. The first after credit scene however, had me in shock and anxious about what will happen in the next Ant-Man (no spoilers). I would 10000% recommend this to anyone - you don't even have to be a Marvel fan to appreciate it. I am not the biggest Marvel fan and yet I loved every second. As I write this, I want to watch it again.